Rudra has provided vision and dedicated leadership in building and aligning solutions to clients across multiple geographies. His vast experience in opening up and growing large geographies for IT organizations has helped In2IT expand in India, USA, South Africa and Singapore within a short span of time. Rudra's unwavering focus has been towards simplifying the complex corporate world by connecting technology seamlessly to business. He is a passionate advocate of ordinary people coming together to do extraordinary things. Rudra holds an MBA in International Business and B.Tech in Mechanical Engineering. Saurabh holds an MBA in Marketing and a Bachelors in Engineering (Electronics) along with International business qualification from the prestigious ESC Rennes, France. As Managing Director of In2IT South Africa, he drives our South Africa business. Under his leadership, In2IT has been able to establish differentiation in consulting and technology sourcing advisory services. He is passionate about IT led business transformation and is widely invited to participate in various intervention and initiatives. He has vast experience in opening up and growing large geographies for IT services organizations. Saurabh lives in Johannesburg, South Africa. In his free time he likes playing golf. Vishal is responsible for creating and building up our portfolio of innovative services and solutions with a view to serve customized offerings to each client. He has also used his extensive experience in driving process improvements, collaborating on program design, implementing talent management strategy and workforce planning into driving measurable business outcomes. He has more than 17 years of experience in the field of IT, specializing in network & telecom. Known for his thought leadership and technology led business acumen, he is instrumental in conceptualizing and creating business propositions for markets all across the world for big IT multinationals. Jena is responsible to expand In2IT’s India and Africa Markets and drives cross-sell and up-sell our offerings in this market. In this role he also helps us diversify our portfolio in these markets where we have already a strong presence. 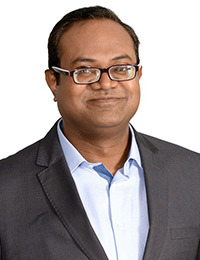 Chittaranjan Jena has 20 years of experience in Sales and Account Management and has worked in organizations like TCS, Satyam and Tech Mahindra both in India as well as Middle East and Africa. He started his career at TCS after completing his MBA from Xavier Institute of Management (XIMB). He has done his Integrated MSc in Physics and Electronics from Indian Institute of Technology (IIT). He was instrumental in setting up of operations in new geographies for all the organization that he worked for. He helped in growing the markets exponentially. At TCS he worked at in various roles like Account Manager, Sales Manager etc. At TCS, he was instrumental in getting some of the large deals in India and South Africa. He then moved to Satyam and continued his journey from Satyam to Mahindra Satyam to Tech Mahindra. Before leaving Tech Mahindra he was Sales Head for Tech Mahindra’s Government, Aerospace & Defence vertical for India region. He was also responsible for setting up of Africa and Middle East business for Satyam-Mahindra Satyam-Tech Mahindra. Writing is his passion and under his pen name C R Jena, he has written two bestselling books – ’22 Things You Should Know About Indian IT’ and ‘A Salesman’s Lessons’. Parichay Joshi is the Chief Executive Office of In2IT’s Enterprise Business Solution with a focus on SAP suite of solutions. Parichay is responsible to expand the footprints of SAP’s cloud and platform solutions and services across the globe. Apart from revenue growth, he will also be building the thought leadership in this space. He strongly believes in customer centricity and customer success as the mantra for his success. An erstwhile Global Account Director at SAP, Parichay is a Sales Leader with rich experience across the spectrum of Business Applications, Services and IT Infrastructure. He has worked across industries and customer segments, bringing in marquee deals and a first of many engagements in the market unit. 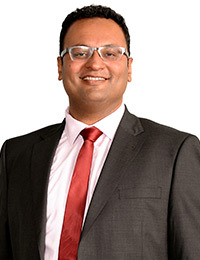 Prior to SAP, Parichay has been successful in his roles with Hewlett Packard and HCL technologies. 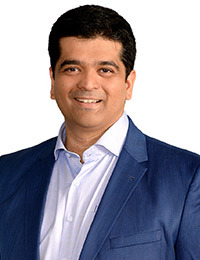 Across all these organizations, he has worked extensively with customer organizations to transform them into Digital Enterprises by intelligently connecting people, things and businesses. Parichay is an IIT Madras alumnus and he strongly believes that a successful team is built on the vision and guidance of strong leaders. Parichay and his team maintain their commitment to customers and lead their engagements with an attitude to transform businesses and outcomes. Tarun Gujral brings more than a decade of experience in sales, business development, delivery management and strategic consulting assignments in the IT vertical. His experience spans across different levels in the ICT sector, acquiring skills in customer relationship management, business development, sales & strategy, as well as delivery of large-scale IT implementations. Tarun, during his stint in the USA, was instrumental in setting up outsourcing & offshoring services across banking & energy utilities sector. He has intellectualized and institutionalized various solutions, which are part of services offered by the company. Tarun holds an MBA from IIM Lucknow, India, International Immersion Program, McGill University, Canada and Engineering Degree from DCE, India. Tarun is based out of Johannesburg, South Africa and responsible for establishing revenue stream across Africa.